Where did my material / texture buttons go? Something happened when editing a Blender scene that caused me to lose the whole texture properties window and most of the materials window as well. They all appear as normal when starting a new file, but for this file they seem to be permanently gone. It seems you changed the rendering engine to Cycles accidentally. 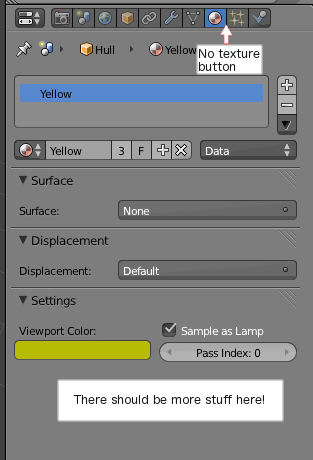 In the Info window (aka the main menu), click the drop-down list which reads “Cycles Render” and change it to “Blender Render” (or “Blender Game” if you are using the Blender game engine). 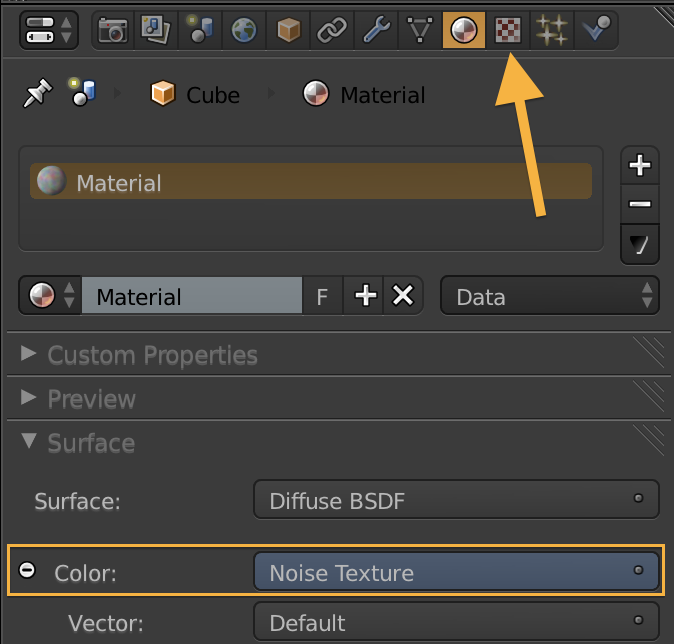 When using the Cycles render engine, the textures tab will only show if you have a texture added to your material. If there's no texture properties, then you can enable it by assigning a texture of any kind to the color input of your shader. There is also a bug that causes the texture tab to disappear, regardless of whether or not you have a texture applied. You must restart blender to have it reappear. Not the answer you're looking for? 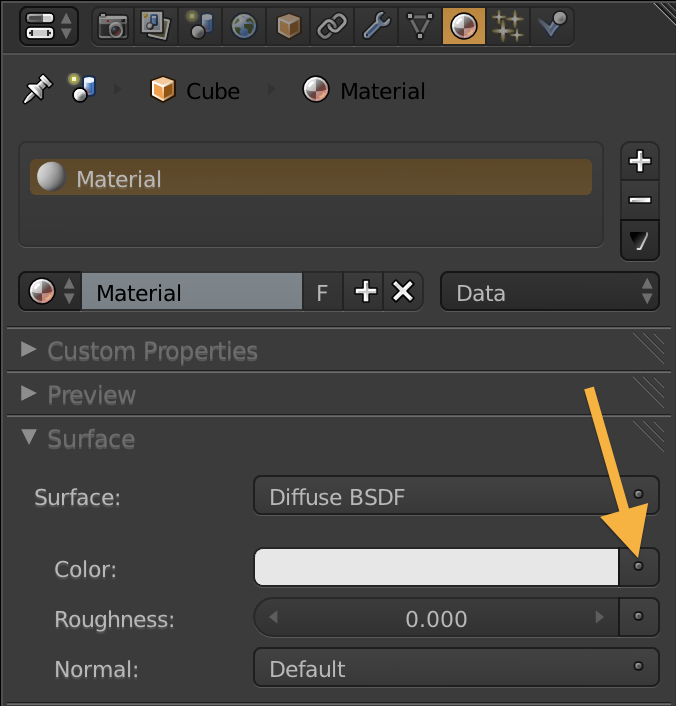 Browse other questions tagged texturing materials interface or ask your own question. Where did my properties interface/panel go? Import looks fine in texture preview but not material preview--why? No material on objects in linked group? PSD image texture - material not updating? What happens after dragging and dropping a texture directly on an object?